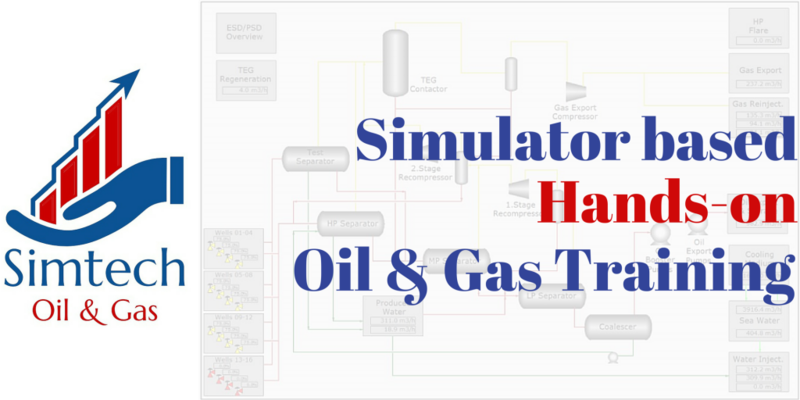 Simtech Oil & Gas opens registration for following simulator based Oil & Gas production hands-on training courses. The Oil & Gas Production training course is the most practical and comprehensive course in the Oil and Gas industry. The emphasis of this course is on Oil & Gas separation, Gas dehydration and export, Oil treatment, stabilisation & export, Produced water treatment, Water & Gas injection at both onshore and offshore facilities. In addition to the engineering aspects of Oil & Gas production facilities, practical operating problems will also be covered, excluding emulsion treatment, sand handling, dealing with wax and asphaltenes, lube oil etc. As an exclusive provider of simulator-based hands-on training courses, we offer you unparalleled experience, learning resources and highly experienced qualified instructor to help you get the most from your skill development goal. Our unique blended learning techniques, which includes learning with your own experience on how things work and highly informative instructions help you to achieve training objectives for individuals or your entire workforce.